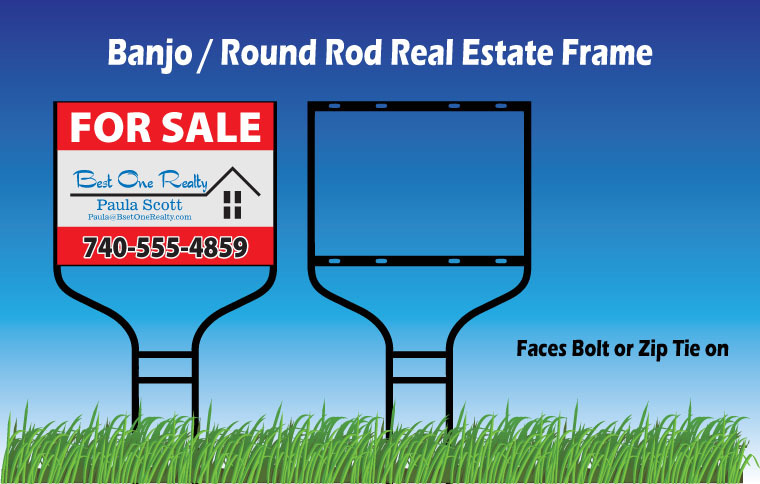 Yard Sign Frames: 5 Great Options for you! Posted 08-23-2013 by Dale Bohman. 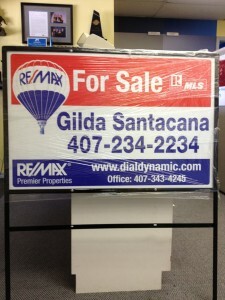 Even for a simple sign, the right frame can make all the difference in the presentation and how long it lasts! 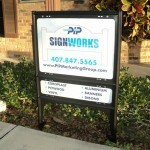 Consider some of the following options to ensure that your sign investment displays for as long as you want it to! These are solid iron and are easy to install and remove. Named because of its narrow neck and large top (imagine a banjo stuck in the ground by the neck). The banjo frame is solid iron and the sign is bolted on. It can be used with chloroplast, aluminum or PVC signs. It is easy to also attach a 6″ rider to the top and/or bottom of this frame. 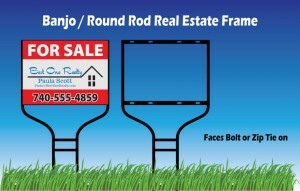 This frame is very popular with realtors for those reasons. 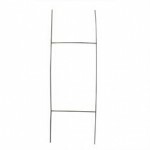 Made from 3/4″ angle iron, this sign holder is sturdy and does not need bolts to hold your sign panel, you just slide it in. It also has a 6″ rider below the main sign. 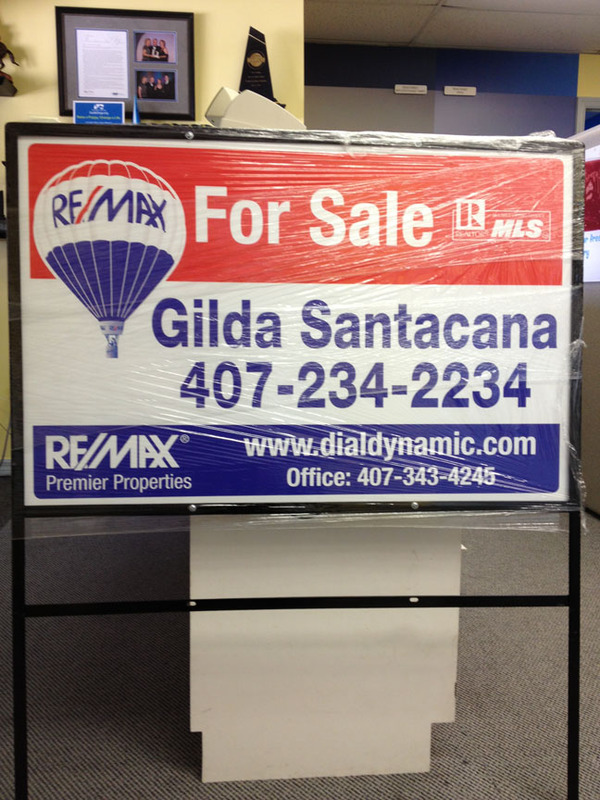 This frame is a little more unique in that it comes in two sizes, 24″x18″ and 36″x24″, the larger size is shown in this real estate sign. Similar to the above H-Frame, this one is made of heavy duty plastic. You can either slide in the sign panels, or for additional security, bolt the panels to the sign as well. It has the feature of a space for a 6″ rider. Made from 3/4″ angle iron. 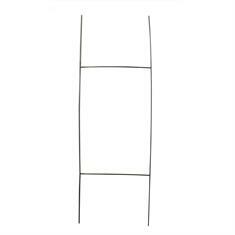 this is a very versatile sign holder that comes in a number of configurations with or without a cross bar on the top. 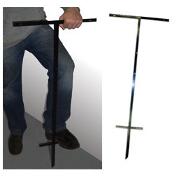 The sign bolts on to the Stake and the lower cross bars allows you to stick it into the ground easily the way you would use a shovel! These are cost effective and sturdy. There are MANY framing options for your sign, let us know what you are trying to do and we will suggest the right way to display your sign!